I’ve arrived at the field of Family Therapy with a wide range of experiences in community arts, education, and nonprofit work. I view these experiences as foundational to my work as a therapist in the way they have taught me about expression and listening, cooperation and independence, as well as emphasizing the ever-present connections that exist between self and others. I had the privilege of attending the Couple and Family Therapy program at the University of Maryland, during which time I worked as a clinical intern as well as a student clinic manager for the program’s community-based family therapy center. The clients with whom I worked represented myriad ethnicities, class structures, religious backgrounds, sexualities, and family constellations. While I enjoy working with individuals and couples, I spent the majority of my clinical practicum working with school-aged and families, especially in issues related to school, behavior, divorce, anxiety, communication, parenting, self-esteem, and normative developmental milestones. The ability to be an informed and curious listener to all types of experiences is of supreme importance to me and I have sought out opportunities to diversify my training and demonstrate my commitment to working within a multicultural framework. I have taught classes on preventative mental health to immigrant youth, conducted therapy in multiple languages, and performed extensive research on culturally informed best mental health practices. Whatever the context or presenting concern may be, it is my hope to provide you with a sense of compassionate, non-judgmental support as together we seek to better understand and alter the processes that may be preventing you or a loved one from moving forward. My background as a family therapist means that I am trained to look at problems within a relational framework, whether that be between people, social systems, or the varied components of self within a single individual. Using a mix of psychoeducation, emotional processing, and experiential activities my aim is to help you improve these relationships and gain a better understanding of what might be keeping you from effecting meaningful change. 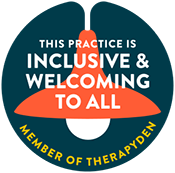 To me, the most important element of the therapeutic process is that of the relationship between the therapist and the client. I believe that a relationship founded on trust, compassion, and openness can be incredibly healing and, as such, I attempt to foster an environment in which my clients feel unconditionally accepted while still being therapeutically challenged when necessary. The relationships I build with my child clients are of special importance to me and I seek to help every child feel that he or she is a capable, contributing member of society. I believe that the client is always the expert in his or her own life and therefore approach my sessions with the intention of being a co-collaborator in this process of healing, growth, and change. I would be traveling the world constantly if I could! I love exploring new places, trying new food, and learning new languages. When I’m here in the DMV area, however, you can find me Latin dancing, tending to my plants, cooking, and spending time with loved ones. 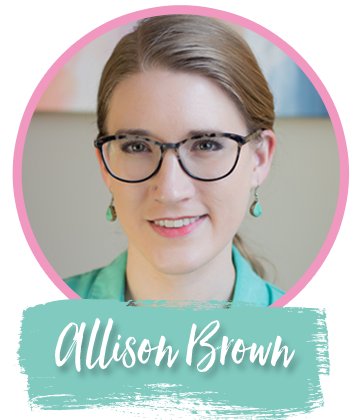 Allison is in the office Mondays and Thursdays and sees clients for afternoon, and evening appointments. Schedule Now!